With about 90 minutes still left on the countdown clock on the OnePlus landing page the announcement of one of the most hyped phones in a long long time was presented to the world. And barely a ripple was caused. The hype surrounding this phone was built up over the past few months saying that they had managed to put a 5.5″ screen into a 5″ body, it would fit underneath a Sony Xperia Z1, it would sport the best specs available, and it would be a stunningly beautiful device. The countdown on the landing pages seems to have been pointing at the OnePlus One page going live itself. Much confusion. When the countdown did finish on OnePlus.net the web page was stuck on a 10 day countdown. At the time of this writing it was still stuck there. Back cover finish is made of cashew! “By paying attention to the smallest details, taking a holistic approach to product design, and working with the best partners such as Cyanogen Inc. and Qualcomm Technologies, we have been able to create the greatest day to day user experience in a smartphone without compromise,” said Pete Lau, CEO of OnePlus. Pretty much what you would expect him to say to be honest. In my opinion it is a very good looking device but it is also a big device. It is certainly in the phablet territory, being bigger in some dimensions than the Samsung Note 2 and 3. Steve Kondik, aka Cyanogen, also had this to say “I am incredibly proud of the effort our team has put in to the CyanogenMod build for the OnePlus One. We’ve brought out the full potential of the hardware and complemented it with innovative new features to give users a fresh new experience and the tools to tailor the One to their personal style,” said Kondik. “We will continue to expand this effort to provide a genuinely enjoyable and powerful operating system for the user.” This is something I alluded to this morning. The device has software optimised to the hardware resulting in a user experience hopefully second to none. Interestingly, in China the phone will be released with ColorOS, Oppo’s proprietary firmware which in my opinion is disgraceful. This lends weight to the theory that OnePlus is NOT a separate company from Oppo and is actually owned by the same people. They have also posted a video to YouTube that shows the design process. The rest was just the usual marketing fluff. I just summarised it into the points listed above. How do I feel about the phone? There is no point telling you all about a device without adding my interpretation to it. When OnePlus said they were going to put a 5.5inch screen into the body of a 5inch screen phone I was surprised. Surely that wasn’t possible. Turns out it wasn’t. Not sure what 5inch screen they were thinking about, probably the Sony Xperia Z1 but the OnePlus One has dimensions bigger than the Note 3 which has a bigger screen. I admit I am a little disappointed regarding the size of the phone. I am not sure I could handle using a phone that big every day. Will it stop me getting one? Probably not. I want to try out the new CyanogenMod. I want to try this top of the line hardware on software designed for it. I am definitely not disappointed regarding the hardware, the camera, nor the software. But how will I get one? By invite? I have heard that OnePlus deeply regret the invite system and the issues it has caused. It is likely to be scrapped within two days and this is when ordering will commence. Sanity has prevailed. The invite system still may have worked but not without giving a lot more information on how the invites were going to work. Maybe next time they should just say that they would be sending out 10,000 invites to the first 10,000 members of their forums and then each person who takes them up on the invite will have two more invites to give out and so on. So there you have it. 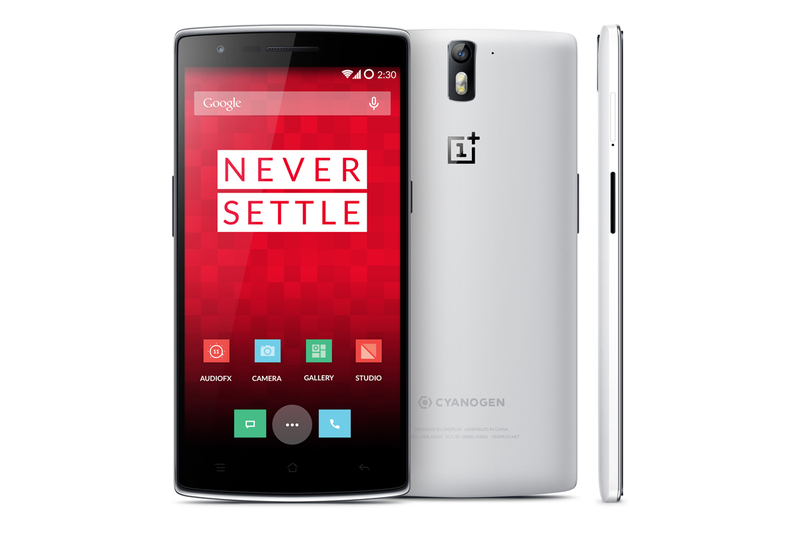 Those who have used a Note and didn’t mind the size will not have an issue with the OnePlus One. Now to work out how to get one in Australia. Are you impressed with the OnePlus One? Did it live up to the hype for you? Will you be buying one? The phone looks nice. I like the pricetag. I wont be able to buy one for at least 6 months, if at all. A fair chance the price will be ruined by only being available on Mobicity for twice the price. At a third of the price of my Note3 wow colour me impressed. Although I think I would have to go for the 64gb version seeing as there’s no microSD. If I really needed a phone sure I’d get purchase this. Kinda makes you wonder though how they can make it so cheap or even how much other companies are over pricing. it shows how much other companies overprice their phones. Most chinese companies that sell within china sell for this price- Meizu, Xiamio (?sp). It’s just the samsungs, HTCs etc of the world that think they have to charge ridiculous prices to make us think the device is top quality. kinda disappoint with the size, may be i was expecting too much. Personally, I like the 5.5″. never used a phone that big for any extended amount of time. I am disappointed with the size as well, but at that price I’m going to give it a shot. IF i dont like it I’m sure i can sell it on ebay or give to my parents. So much NFC I can’t even! Oops. thanks mate. fixed one other thing that was bothering me too. Looks the same as a nexus 5, I will stick with the 5 thanks. Some nice specs but really am not going to notice them but I will notice the firmware updates and most of all wireless charging which I have grown to love. Capacitive buttons…eugh… I can’t believe a new company has come to market with them! The OnePlus One can also be used with onscreen buttons. I believe it’s an option in the settings. yes. they can be turned on or off. I personally hate them tbh. That wouldn’t be at all confusing. Not for me I don’t think. Does it have AC wife? I’m assuming you mean AC Wifi? I don’t think so… but i only saw that on the OnePlus forums, not in any official document. No microSD is the dealbreaker for me. Once again with the negative comments. When will you ever stop? Why is that point not valid though? I also don’t like any android with lack of external support. I save everything on to my 64gb card. I answered that specific question, giving my reason as to why I would not be buying one. So how is answering that question accurately, also negative? The 64GB is better than an SD Card. 64gb is great. I’m doing fine with 32gb at the moment. Thanks for putting this information together Scott. Really enjoy following android news with you guys with local flavor. You can actually see a bit of the side sticking out on the left and they’ve cropped out the bottom of the photo where the OnePlus would’ve been sticking out of. So they were just being shifty but not entirely lying. I’m sure my mum always said a white lie is still a lie. Even significantly larger than the Xperia Z2’s 146.8 x 73.3 x 8.2mm -granted Z2 has a smaller 5.2″ screen… But that price (USD349 for 64GB!?!) more than reconciles everything! I think not. Considering it doesn’t have wireless charging, and replaceable backs with Qi coils built in won’t work very well. no Qi charging. NFC yes. When you find a way to get one in Australia, please let me know? CAT S61 — Australian Review · 40 mins ago.